Orlando Jones to Star in Dark Forces: "Lexicon today announced that they have cast Orlando Jones (American Gods) to topline DARK FORCES, the third film from director Anthony O’Brien (THE TIMBER) who will direct from a screenplay jointly written by Lexicon co-founders, producers Mark Mathias Sayre (WATERLILY JAGUAR; DOE; THE CLEARING, DOUBTING THOMAS) & Justin Foia (POINT DEFIANCE). “The year was 1994,” quips Jones. “I was watching Steven Spielberg's epic SCHINDLER’S LIST. 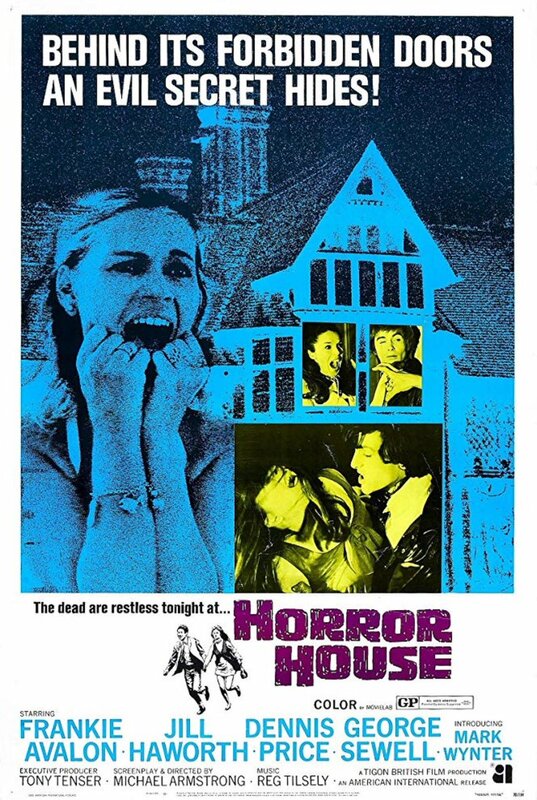 People talk during horror movies, so as the little girl in the red coat walked through the carnage I yelled, ‘trip her!’ A chorus of theatre patrons shushed me. For the record, ‘Shhhh!’ counts as talking. I love the mixed bag of emotions scary movies evoke. DARK FORCES explores the thin veneer of civility that keeps the repressed monster(s) inside all of us at bay. We sincerely hope audiences set their inner demons free while viewing. Viva La Horror. Sorry, Mister Spielberg." The remaining U.S. casting of Dark Forces is being handled by Barbara J. McCarthy. Lexicon’s Mark Mathias Sayre (The Timber, DOE) will be producing and Jones is counted among the film’s executive producers. Production is expected to begin in Romania later this summer." 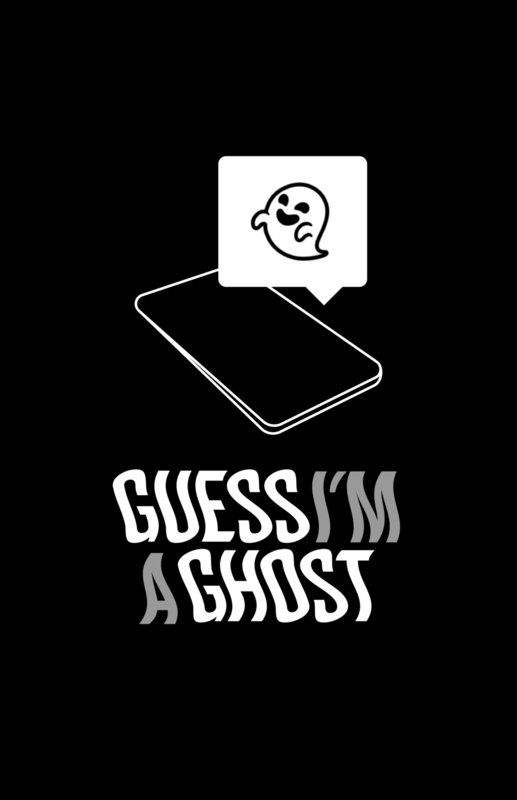 Guess I'm a Ghost Premiere Details: "Guess I'm a Ghost is a comedy web series in eight episodes that explores coming to terms with your past mistakes, making amends, and how we both perform ourselves and find out about death through social media. Tonally, the series is a mix between High Maintenance and The Good Place. Using both naturalistic and absurd comedy, the show looks to see how we grieve over imperfect people we think we knew, but maybe didn't at all. Diane...wasn't the best friend. She liked to bend the truth and look out for number one. After embarrassing herself at a party, she's killed in a ride-share accident when climbing into the front seat to charge her phone. Then, because of a mistake in the afterlife, she's sent back to earth and forced to haunt those she could've treated a little better and might owe her an apology themselves. Guess I'm a Ghost will make its world premiere at DC Webfest on April 13th and will make its online debut April 29th, following a screening in Los Angeles on April 27th. Chris Sullivan is a playwright, screenwriter, director, and producer. His work has been seen Off-Broadway at the Ensemble Studio Theatre, where he is a former member of the Obie-Award winning Youngblood group, as well as The Flea Theatre, Theatre Row, NYU, Death by Audio, Cake Shop, Silent Barn, and elsewhere. He is a recipient of the Hudson Memorial Award and holds an MFA from USC’s John Welles Writing for Screen and Television Division. His play BEST FRIEND recently won an Encore Producers Award at the Hollywood Fringe Festival. His career peaked after starring as Wilbur in his high school's production of "Charlotte's Web." Kelsey Siepser is an LA-based actress originally from the east coast who holds an MFA in acting from USC’s School of Dramatic Arts. She has acted in numerous films and TV projects notably, SEAL TEAM, WEST OF HER, THE AMERICAN SIDE and THE WHITE ORCHID. Her most extensive experience is in acting in theater where she has performed at Dixon Place, The NYC and LA Fringe Festivals, The Vineyard Theater and The Williamstown Theatre Festival. She won the Tryon Prize for art and technology with her site-specific video installation, ELUESIS, while at Smith College. She recently directed a pilot episode for her web series, ONE BEDROOM. She performed her expanded solo piece, REVELATION, at the 2016 Solo Performance Festival at Son of Semele. She has written two feature films and recently finished her first full-length play, Theia Mania, which she developed in a writing workshop at The Echo theater company with Charlotte Miller. Most recently she played Lady Capulet in Romeo and Juliet for the 2018 LA Fringe. Ghost Nation Series Announcement: "Travel Channel announced today that the network has greenlit production on the new series “Ghost Nation” (wt), featuring Jason Hawes, Dave Tango, and Steve Gonsalves formerly of the “Ghost Hunters” series. The announcement came as part of the Discovery Inc. Upfront event. Thought this might be of interest to you, so wanted to make sure you had the information. Hope you can cover the exciting news! In “Ghost Nation”(wt), Jason Hawes, Steve Gonsalves, and Dave Tango, the trio formerly of “Ghost Hunters,” return to television by popular demand for all-new explorations of the other side. But now, a whole nation of paranormal investigators is at their fingertips. Each week on “Ghost Nation” (wt), the team will rally their troops and reconnoiter around the most intriguing cases that need the benefit of their expertise. Armed with state-of-the-art technology, Hawes, Gonsalves, and Tango will attempt to uncover paranormal evidence like never before, while also debunking false claims. But on these bigger and bolder investigations, the team will also endeavor to track down the true source of these hauntings and restore peace and order among the living – and the dead." Q&A with Happy Composer Guillaume Roussel: "Only three episodes into the new season of Syfy’s Happy! and viewers have seen nuns getting blown up, demented, leather-bound Easter bunnies and plenty of gore. Fans of the offbeat, dark comedy never quite know what to expect and that’s what makes the series fun. Adding intrigue to the project is the original score by composer Guillaume Roussel, who experiments with everything from synths to Broadway melodies. In the below exclusive interview, Guillaume goes in depth about many topics, such as working with the show’s music supervisor to his favorite episode, musically. When working on a project like Happy!, which has so many strong characters, do you first focus on creating music for the overall story or do you decide on the character themes first? Guillaume: When there are new colors or musical style, I try to work on those first but also try to cover the whole episode simultaneously because of the small amount of time we have to score each episode, which is about a week to 10 days. I am dealing with both approaches at the same time. For example, we want to do music from the 80s and maybe we have this type of music in another scene too, so I will just focus on that sound first at the different parts in the episode. While all this is going on, I am taking some time to gather new ideas and sounds for the rest of the episode. How closely do you work with the sound designers? Guillaume: Unfortunately, we rarely work together because we deliver at the same time at the very end of the process. So, we don’t have time to exchange ideas. Except for really specific scenes that require more attention. For example, when it comes to the Wishees, those characters require a lot of sound design and music. So, to make sure everything works together, we have to coordinate. How many minutes of music do compose per episode? Guillaume: I compose about 25 minutes or less per episode. The opening scene of nuns fighting each other and blowing up is pretty intense. Did you have any input on that French song that was playing during this? Guillaume: No, I didn’t have any input on that French song. I’m pretty sure that was the showrunner, Brian Taylor. I say this because Brian’s knowledge of French music is very vast, so I bet it was him. Being French myself, that scene made me laugh a lot because I was so not expecting that. That song is very well-known there, people in American might not know this. Neal H Moritz produced a few episodes of the show. He has worked on huge projects such as the Fast and the Furious films, Total Recall and 22 Jump Street to name a few. Did he have any input on the score? Guillaume: No, unfortunately not. I have never had the pleasure to meet him. I would love to work more closely with him in the future though. The show has a few different directors. Does each of them give notes? If so, how do you keep the tone cohesive? Guillaume: It actually doesn’t work like this. The showrunner Brian Taylor is the one who gives me all the notes. We do all the spotting sessions together. If every director gave input that might get pretty complicated. That’s why we have the showrunner and Brian is nailing this. Sonny Shine’s video that is playing in episode 1 at Nic’s dentist office on the tv. Did you do that Sonny jingle? Whose vocal was that? Guillaume: No, I didn’t work on that song. It’s quite humorous, though. Do you work with the music supervisor at all? Knowing what songs are going to play in specific scenes? Guillaume: Usually, we work at the same time, but on different tasks. While I am writing the original music, Michael Hill will work on finding or clearing songs, but during spotting sessions, we get together and exchange ideas. Michael is great! I really enjoy working with him on Happy!. The only challenge is that the production team is located in New York, and I am in Los Angeles, so that can get a little complicated at times. We always work it out though. You have said that musically episode 3 is your favorite because of the Broadway number with Ann- Marget in it. Do you have a 2nd favorite episode? Guillaume: There are some places where there is funky music I composed. I am a big fan of funk music, and it’s always a treat for me to get to write music in that genre. I used to be part of bands that would play funk, I love the groove and Brian Taylor allows me to unleash that with my Happy! score! There is a big fight in Episode 4 and a long dreamy scene in Episode 5 where viewers will get to enjoy this music there!! Is there a horror film score in the past few years that you have particularly enjoyed? Guillaume: I really like John Carpenter. The score to Halloween has always been a classic."